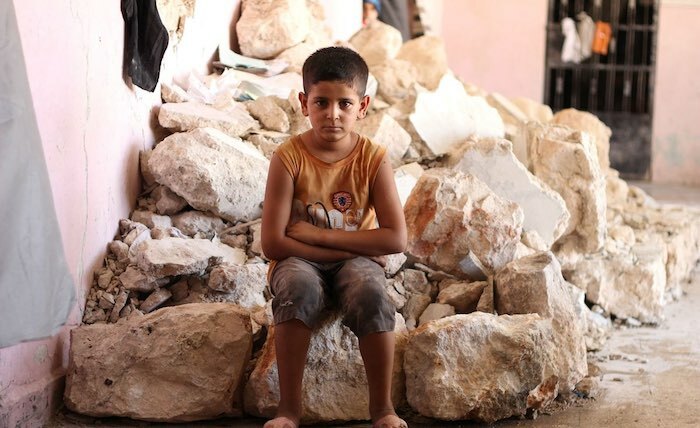 Children of Aleppo Are Trapped in a "Living Nightmare"
Kieran Dwyer, UNICEF spokesperson in Syria, reports on the tragedy unfolding for Syrian children in Aleppo. "In eastern Aleppo, these terrible attacks and bombings are killing and injuring many children. UNICEF can confirm that since last Friday alone, at least 96 children have been killed in attacks, and more than 220 injured – many gravely injured," says Kieran Dwyer, UNICEF spokesperson in Syria who is in daily contact, from the capital Damascus, with UNICEF colleagues and partners in Aleppo, including medical staff who are trying their best in unimaginable circumstances to save the lives of children. There is nowhere safe for a child in eastern Aleppo. "Children are lying untreated on the floors of hospitals because there are not enough doctors or medical supplies. A doctor, one of our partners, told us last night that in his clinic they are so overwhelmed by the numbers of injured children being brought in each day that they are being put in the impossible position of having to leave the most seriously injured children to die, untreated. "The situation continues to get worse. Our health partners have confirmed today that two hospitals were struck by attacks overnight. Both are now unable to function, meaning thousands more children cannot get the urgent medical care that they need." "The attacks also damaged the water pumping station that provided safe drinking water to 250,000 people in eastern Aleppo. Without working pumps in the city, people are forced to drink water from contaminated wells. The risk of outbreaks of waterborne diseases is huge and this would incredibly aggravate the already desperate situation for children." Without working pumps, people are forced to drink water from contaminated wells. 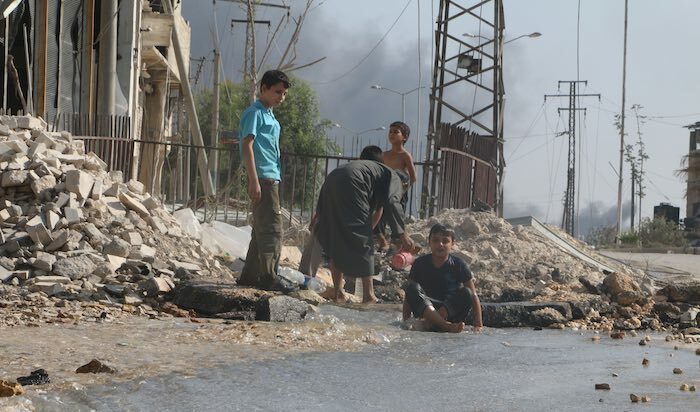 "Fortunately, last night we had a small breakthrough when a portion of the water system was repaired with support from UNICEF but only a quarter of the inhabitants of eastern Aleppo have regained access so far to clean and safe water. The majority are still in danger. And while attacks continue, there is always a risk that this essential water infrastructure will be destroyed again." 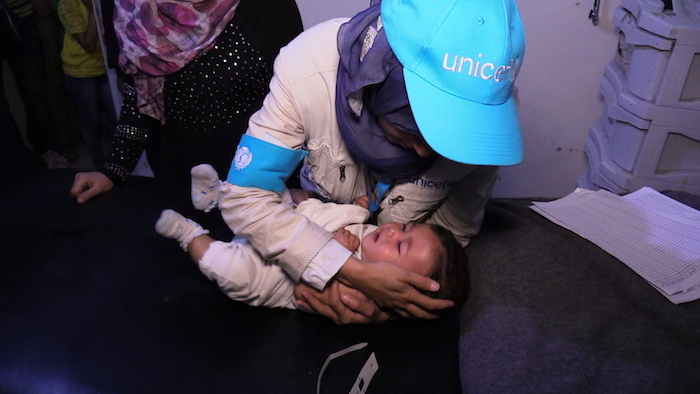 "UNICEF and our UN and other partners have been ready for weeks with life-saving water, nutrition and medical supplies for the children and families of Aleppo, but these convoys have not been allowed into the east city. Children now desperately need life-saving help." Children now desperately need lifesaving help. "A few weeks ago, there was a brief ceasefire. Kids could even play outside again. We saw children playing on swings again. They were able to just be children again. Now that is over and they have to fear for their lives every day and night in the knowledge that even if they are injured, there is no guarantee that they will be saved. For the sake of all the children and all the families in Aleppo, it’s critical that these attacks stop. This horrendous violence against children must stop." Please support UNICEF's work to aid Syrian children.